This locking solid curly maple jewelry armoire will hold an extensive collection of jewelry, watches, collectibles, specimens or just about anything that you need to safely store and organize. The case features hand cut dovetail joints on the corners and sliding dovetail section dividers. The back is solid wood frame and panel construction. 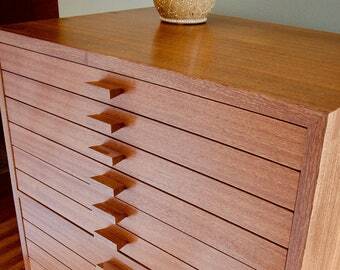 Dovetailed drawers are lined with cotton velvet and have solid ash interiors. They ride on solid wood rails and have unbelievably smooth action. Bowtie pulls are graduated in size. Locking stays are made with double pin brass locks and knife hinges. I developed this technique specifically for this application, and the lock catch is fabricated specifically for each piece. This is all the bells and whistles. Registers on the dedicated stand by setting into place on brass pins. 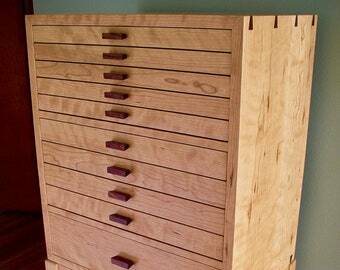 This cabinet can also be made in a variety of species, sizes, and drawer configurations. It can also be made without the locking stays. Worldwide shipping available. 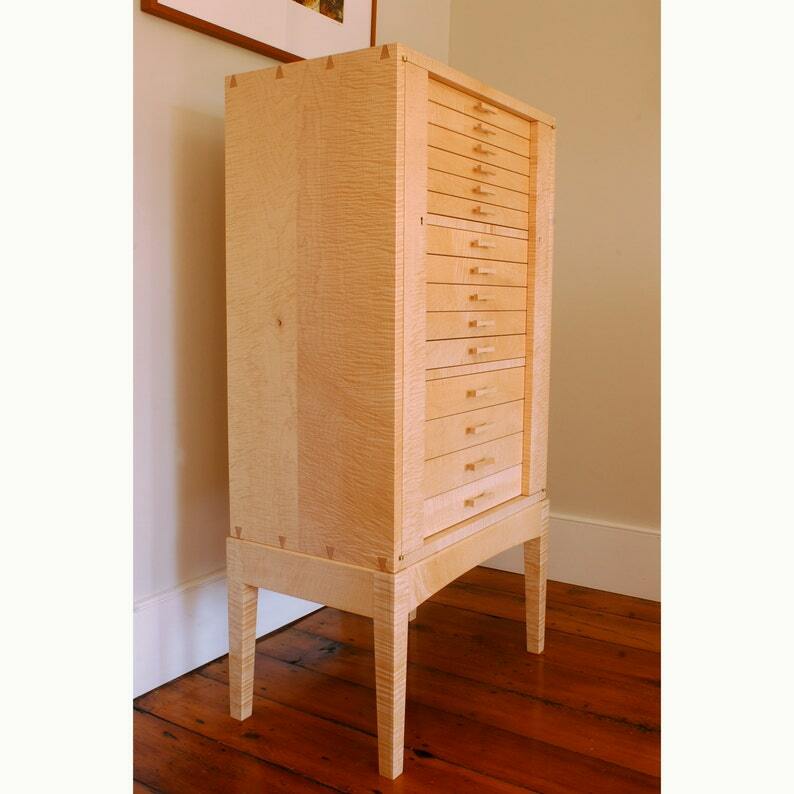 West Creek Studio has been making fine furniture and jewelry chests since 1991.